EDIT: It looks like this was yet another glitch in the long line of glitches My Disney Experience has been suffering from lately. I’ve left the original article below for posterity’s sake. Sorry for the false alarm folks. As of this morning it looks like the FastPass+ tier system at Hollywood Studios and Epcot is gone. 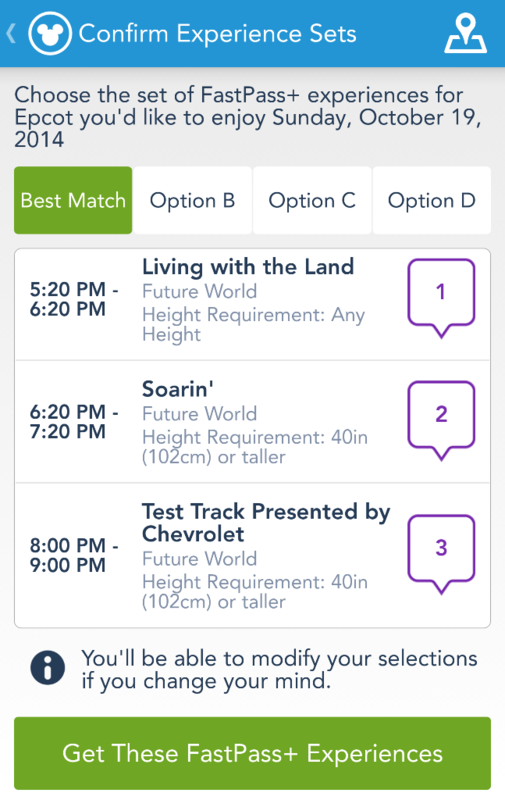 The tier system used to let you only pick one FastPass from a top tier and then the remaining two from lower tiers. 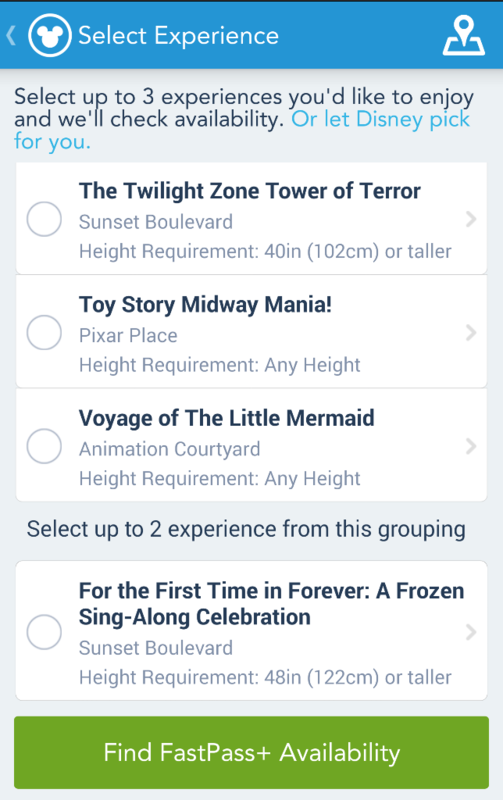 As of this morning you are still only allowed to pick one from a “top” tier, but the FastPass system will fill in your other two spots with top attractions if they’re available, regardless of their previous tiers. 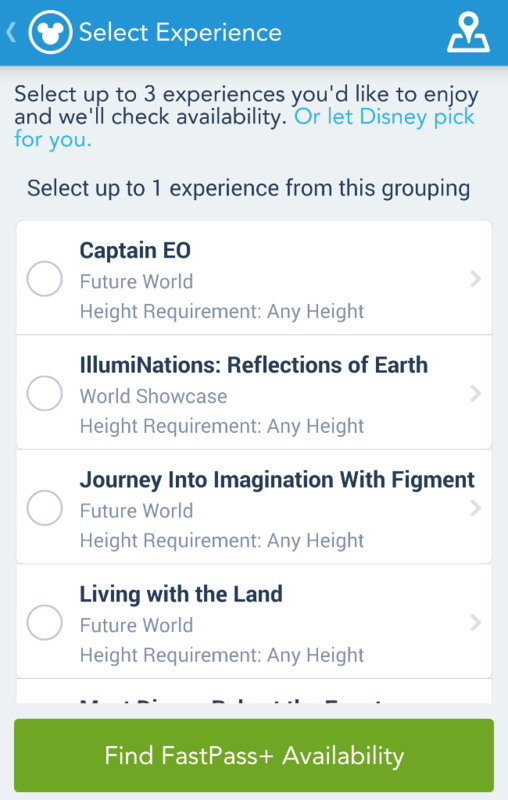 Here’s what the new experience looks like on the Android My Disney Experience app. 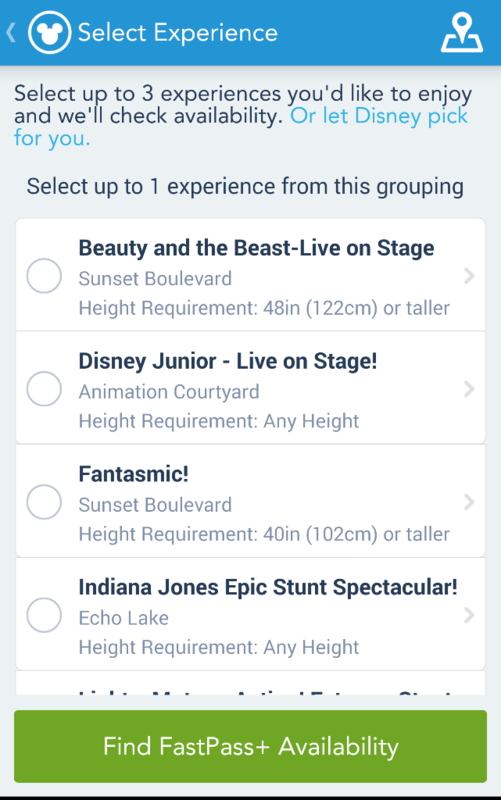 You’re still only allowed to select one FastPass to begin. But the app will auto-fill the other spots regardless of previous tiers. A look at the Hollywood Studios availability. 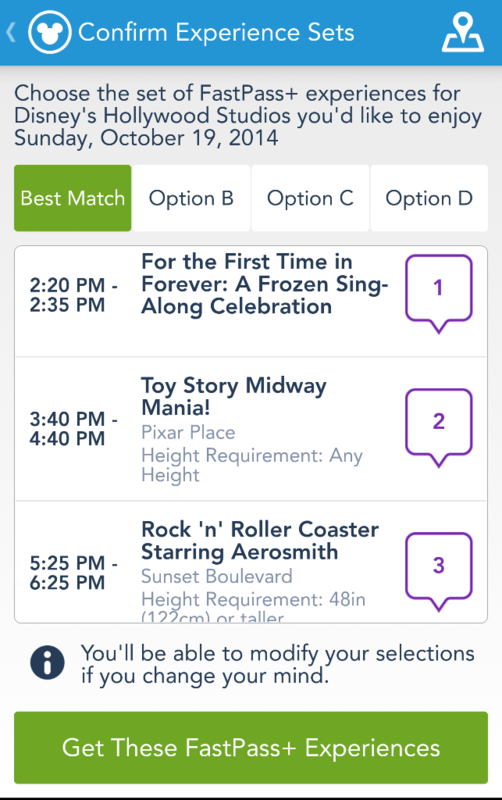 Frozen Sing Along is still separate for some reason, but you don’t have to select it. Toy Story Midway Mania and Rock ‘N’ Roller Coaster! What’s still unclear is if this is some sort of test or if this will be a permanent change. As for now, get your FastPasses while you can!